Vote Above & Beyond. Bristol hospitals care for you, family & friends 24/7. Help us help them. Ever heard of the BRI? Course you have! But what about Above & Beyond? Not sure? Well, don’t feel too bad about it…you’re not alone. 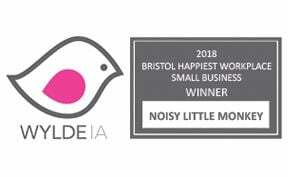 We’re one of Bristol’s hidden gems. We’re the local charity that’s supporting the 9 central Bristol hospitals. We’ve been quietly working away for nearly 40 years. But now we’d like to make a bit of noise about what we do and thank all the inspirational people who make it all possible. We’re based in Bristol but our hospitals are treating patients from all over the south west. Each year we invest some £3 million to make life that bit better for the patients, staff and visitors who come through our doors every day. So our shopping list is massive – everything from glitter and glue in the Children’s Hospital Play Department to state of the art equipment for heart patients, and from bursaries for nurses to quiet rooms for relatives visiting their loved ones. So how does this happen? 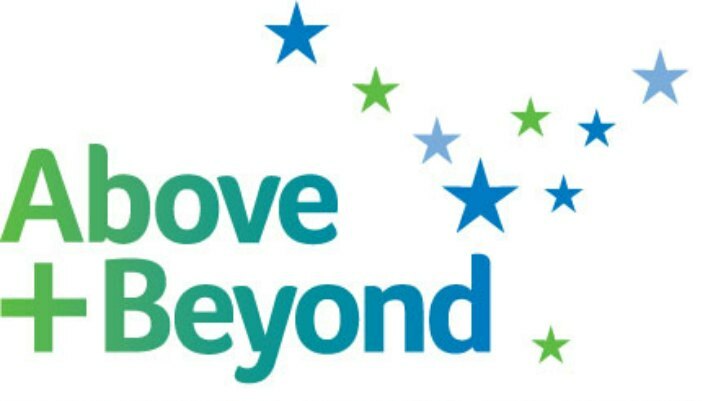 There are hundreds of people doing wonderful things to fundraise for Above & Beyond. Lucie’s just trekked up Everest raising money that will go to the Bone Marrow Transplant Unit. She’s done it for her brother Josh who’s received two bone marrow transplants. Kath and Kirsten are on a double marathon caper as thanks for the tremendous care Bristol’s cancer hospital gave to their friend Victoria. And Chris from Specsavers is cycling from Land's End to Bristol for the children’s unit at the Bristol Eye Hospital. And that’s just the start – our enthusiastic fundraising heroes are a creative bunch. From abseiling to zumba – they’re doing it for Above & Beyond! So we want to spread the word, thank everyone and inspire even more people to get involved. We’re already Tweeting and Facebooking and we know our fundraisers love that way of keeping in touch. One of recent social media stars is Ryan. He’s raised nearly £2,500 to say thank you for the life-saving treatment and care his dad Andy received at Bristol’s Bone Marrow Transplant Unit. He ran the 2012 London Marathon (his first ever!) and used Facebook with us to spread the word about his run. But not only that – he also used it to motivate himself during training and the comments, likes and virtual hugs he received spurred him on to success. We want to help many more fundraisers like Ryan harness the wonders of digital to help them help us. But doing it really well, now that’s an art isn’t it? And it takes time. And our Jules - who’s brilliant at digital - also has a million other things to do. So we need some Monkey help please. We are doing a bit of “reaching” but to be honest we could be doing so much more. And with noise from you we know we can go the extra mile and raise even more funds for patients and the dedicated staff who care for them. We're counting the number of Tweets, Likes, Pins and +1s this page gets, using the sharing buttons at the top and bottom of the page. The volume of these shares will help the judges choose who should receive our help, so get sharing! Then, really help the cause by using the Facebook comments below to tell us why YOU think Above & Beyond should win £9,000 of digital marketing. GO!